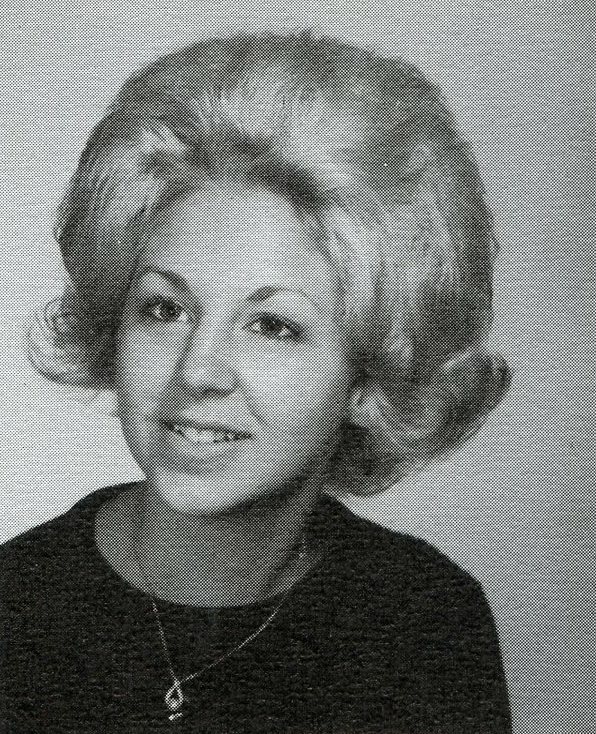 On this page, we remember and honor members of the Class of 1967 who have passed away. Three years ahead of us, they played an important role in enriching our experience, often as fellow members in extracurricular activities. Please click on the name to see the tribute. 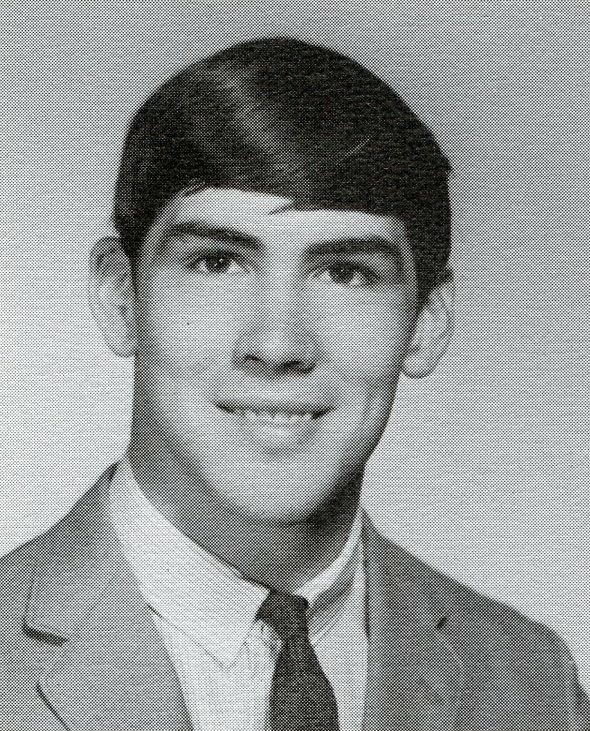 Richard in 1967 (senior photo) and later in life. Richard R. Dubour, 69, of Titusville, FL, passed away on Nov. 14, 2018 at home, surrounded by the care and comfort of his loving family. 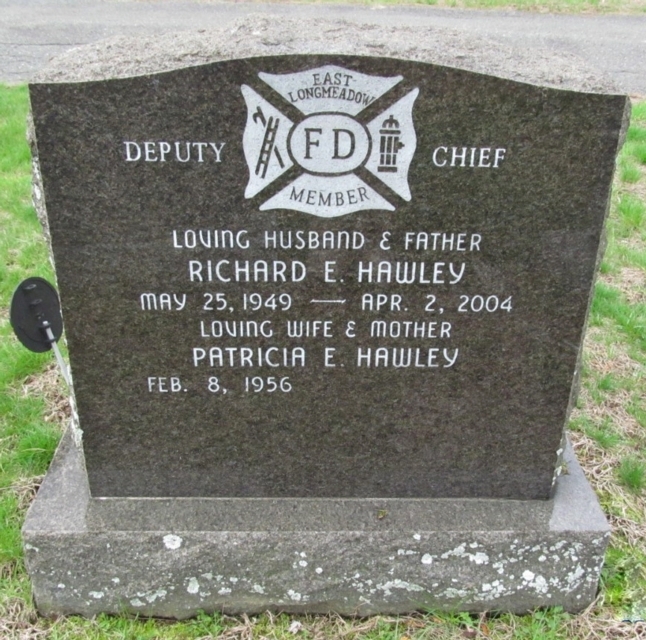 Richard was born in Ludlow, MA to the late Raymond and Mary (Alves) Dubour. 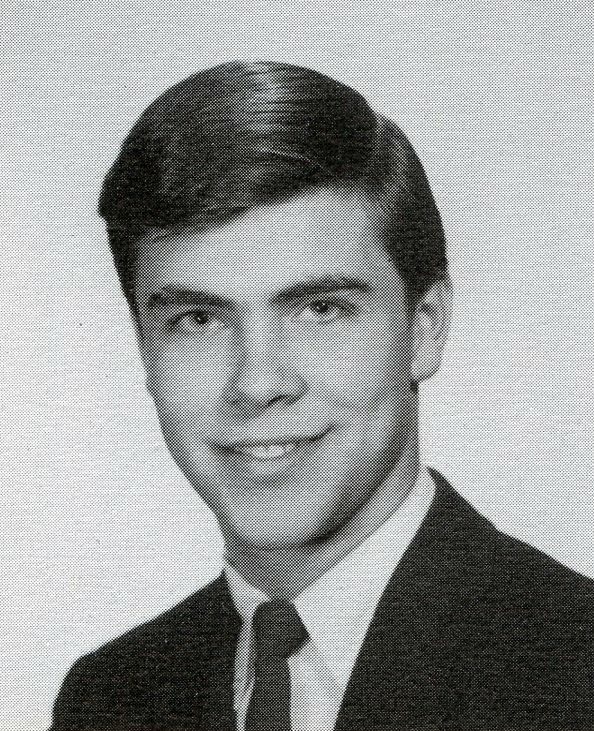 A 1967 graduate of East Longmeadow High School, Richard was most recently employed by American Leasing Company, located in Sunderland, MA, as director of operations. Richard will be remembered for his intelligence, his quick wit, and his love and devotion to his family. He was an avid fan of the Patriots and the Red Sox. Richard loved listening to his favorite music and had a great love for animals. He leaves his beloved wife of 31 years, Regina Dubour. He will be lovingly remembered by his daughter, Mary Griffin, and grandsons Justin and Chance Griffin of Ocoee, FL. His love will live on through his sisters, who cherished their big brother: Noreen Wildes of East Longmeadow; Patricia Gray and brother-in-law, David of Hampden; Mary Alyce Dubour Dolon and brother-in-law, Frankie of Springfield; as well as several nieces and nephews. He was predeceased by brother-in-law Thomas Wildes. Memorial donations may be made in his memory to the Dakin Humane Society, 71 Union St., Springfield, MA 01105 or The American Cancer Society. 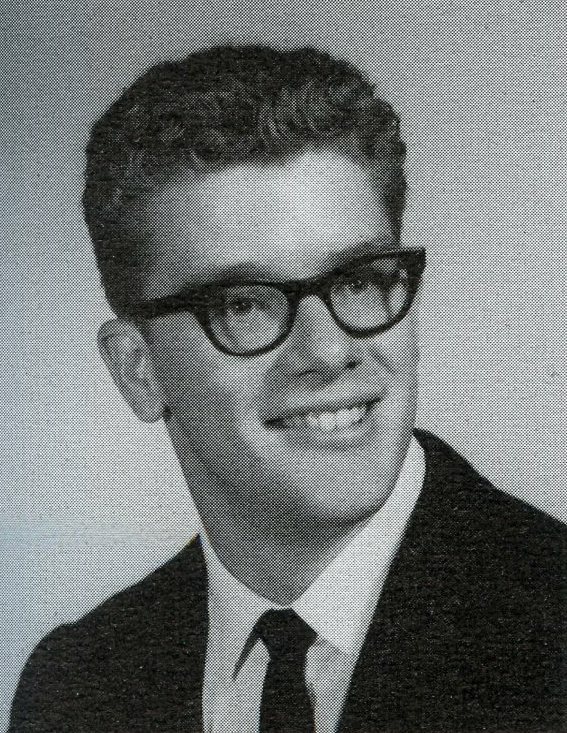 Bruce in 1967 (senior photo) and later in life. Bruce Thomas Gilchrist, Sr. of West Jordan, Utah, passed away peacefully with his family by his side on Thursday, Jan. 21, 2016 at the age of 66. Bruce was born Apr. 28, 1949 in Springfield, MA. Bruce married the love of his life and soulmate, Lynette (Selin) Gilchrist on Jan. 25, 1969. He is survived by his wife, Lynette; his six children, Danyelle (Larry) Ward, Bruce Thomas Gilchrist, Jr., Tamara (Tracy) Greenwood; Shanna Gilchrist (Brandon Gray), Angelynn Gilchrist, and Kara (Justin) Lund; 12 grandchildren; sister Nancy (Billy) Frost; mother-in-law LaVon Selin; sisters-in-law Kathryn Moore, Donna (Dan) Ball, Cynthia Smith; and many other family members and friends. Bruce met the love of his life when he came to Utah to attend college. He first attended Snow College and then moved on to Westminster College where he attended for two years. He also graduated from Trade Technical College to do appliance repair. Bruce was a volunteer firefighter and sheriff in the small town that he and his wife and daughter lived in, when his only son, Bruce, Jr. was born. He had many trades, but the one that stands out the most is when he was a long-haul truck driver. Bruce was very much a family man. His family was his whole world even up until his last days. He was the best husband, father, and papa anyone could ask for. He was always a kid at heart and had an amazing relationship with each one of his children and grandchildren. He was also the best brother to his sister, whom he loved very much. He will be missed by all. He was known for his kindness, quirky humor, his imagination, the stories he would tell, and his angelic smile that would light up any room. He was an amazing, fun-loving man who loved trains and old cars. He loved going to car shows and driving old RTs. He enjoyed his wife's cooking and food in general (especially mom's sloppy Joes and potato salad). He loved the mountains and nature. He did a lot of camping and fishing with his family over the years while his children were growing up. Holidays growing up we always had extra people at the table, because he was a firm believer that nobody should ever spend the holidays alone. He had such a drive for life and a passion for helping people, he truly was a natural healer. Bruce was a very spiritual man in his beliefs, and he always left a big impression on all the people he met. Bruce's remains are interred in West Jordan City Cemetery, West Jordan, UT. Gary Richard Feathler, 67, died peacefully at home on Sunday, Oct. 11, 2015. He was surrounded by his loving and loyal family, close friends, and beloved caregivers. (Excerpted from the Rowe Funeral Home, Litchfield, CT website). Gary's remains are interred in East Cemetery, Litchfield, CT.
William R. Petrie, 64, died peacefully at his home in Brimfield on Apr. 2, 2014, with his loving family by his side. He was the son of Malcolm and Ruth Petrie of East Longmeadow. He had resided in Brimfield since 1983, previously living in Wales. He proudly served his country as a helicopter pilot during the Vietnam War. Upon his return, he earned his master's degree from Clark University. He was a gifted builder and ran his own construction business, B & B Builders, for over 30 years. He was a man of nature and loved time in his gardens, the ocean, and astronomy. He will be deeply missed by his three children, Jessica, Robert, and Billie Jean Petrie, along with his two grandchildren, Brooke and Nathan Quattrocelli. He is also survived by his sister, Norma Silloway and her husband, David; brother, John Petrie; and mother. Donations in his memory may be made to The Wounded Warrior Project or to The Paralyzed American Veteran's Fund. 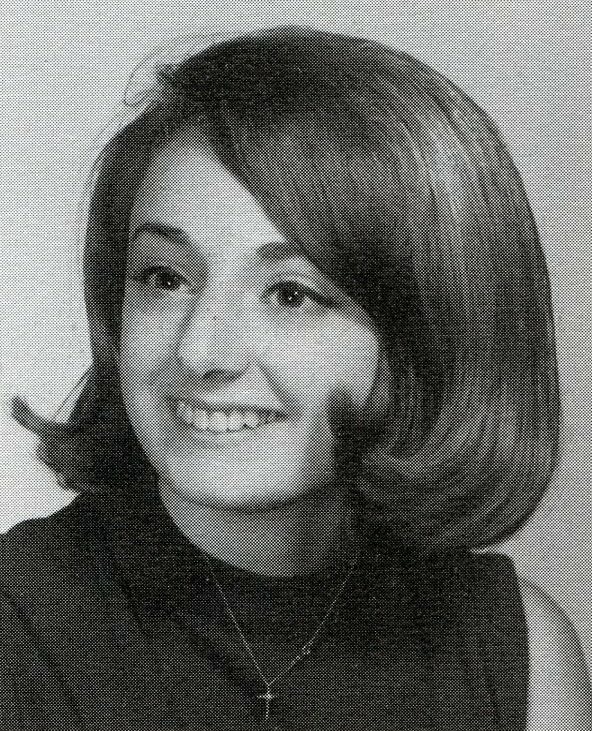 Sharon in 1967 (senior photo) and later in life. Sharon Mae (Rufenacht) Henry, 64, of Penrose St., died Sunday, Mar. 9, 2014 at Baystate Medical Center, Springfield. 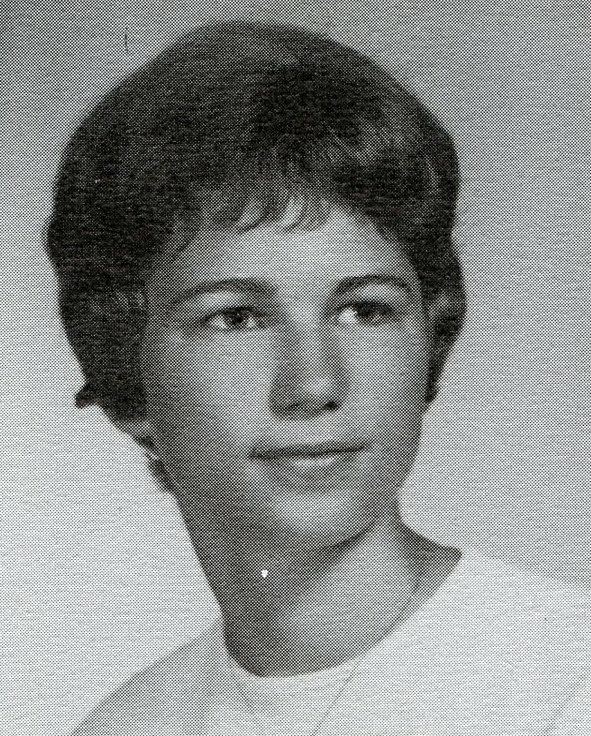 She was born in Ludlow on Jan. 31, 1949, and grew up in East Longmeadow. She was a graduate of East Longmeadow High School. She lived in Springfield for the last 40 years. Sharon was employed for many years as a nursing assistant at the Jewish Nursing Home in Longmeadow and later at the East Longmeadow Nursing Home. She was most recently employed in private home care, eventually retiring due to declining health. In addition to her devotion to caring for the sick and infirm, Sharon enjoyed music, singing, dancing, trips to the beach in her younger years, and scenic car rides in her later years. She was an accomplished homemaker who always took pride in cooking and savoring a good dessert. She was a former member of the First Congregational Church in East Longmeadow, where she sang in the choir. Sharon was predeceased by her father, George A. Rufenacht. She leaves her mother, Mary (Low) Rufenacht of East Longmeadow, to whom she was extremely devoted. She was the loving wife of 39 years to Raymond E. Henry, beloved mother of Heath E. Henry of Plainville, CT, Meagan J. Henry of Los Angeles, CA, and Brandon B. Henry of Ludlow; and caring sister of Andrea Lissette of Estero, FL, and Barry Rufenacht of Montpelier, VT. She was the sister-in-law of Laura Saliba and her husband, Michael of Westfield; Karen Allen and her husband, Richard of Stratham, NH; Constance Flynn and her husband, Christopher of Pittsfield, MA; and Peter Henry of Highland Park, IL. She also leaves several nieces and nephews. In lieu of flowers, donations may be made in Sharon's name to the Alzheimer's Association of America, 422 Eighth Ave., 7th Floor, New York, NY 10001, and/or Greater Senior Services, Inc., 66 Industry Ave., Suite 9, Springfield, MA 01104. 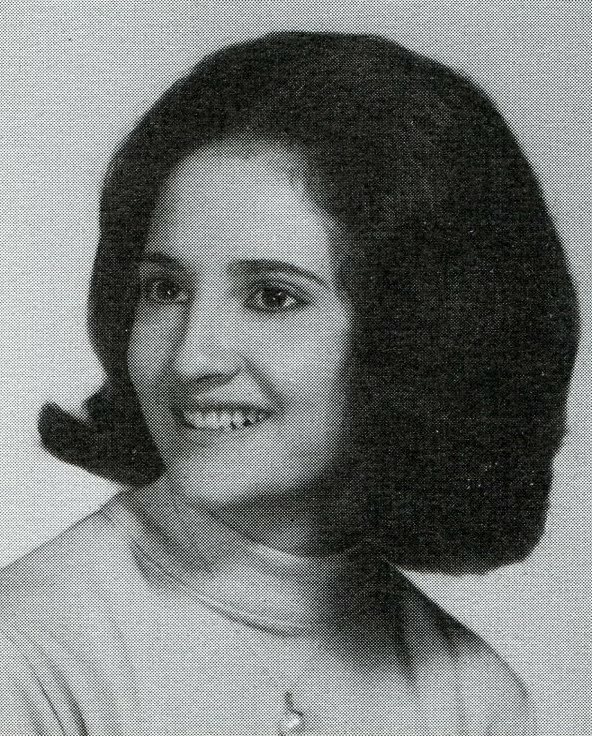 Deborah in 1967 (senior photo) and later in life. Deborah "Debby" S. Zoffoli, 63, of Beverly Hills, FL, passed away on Saturday, Feb. 23, 2013 in the loving care of her family and HPH Hospice. She was born on Monday, Mar. 14, 1949 in Springfield, MA to Luke and Dorothy (Cosman) Smith. Debby was a retired field liason for the Aetna Insurance Company. She moved to this area in 2010 from Canton, CT.
Debby was a member of St. Elizabebeth Ann Seton Catholic Church, the Red Hats, Newcommers Lunch Bunch, and Citrus County Water Color Club, and enjoyed golfing. 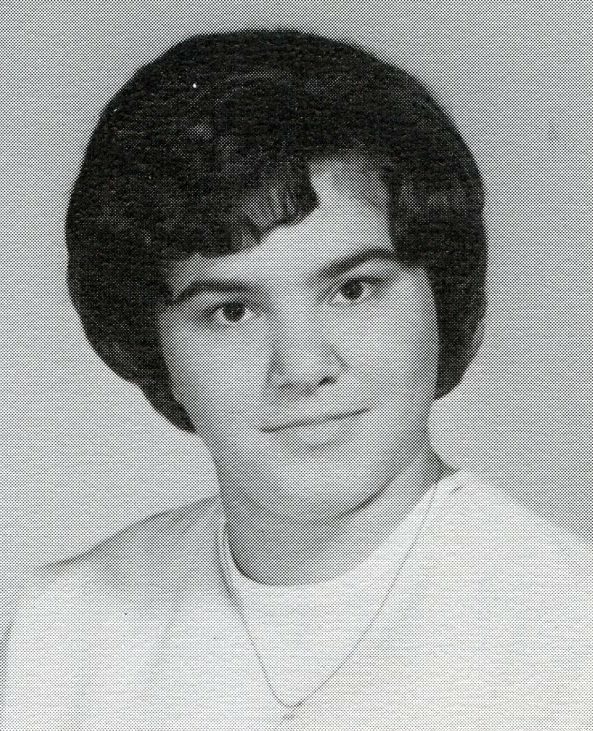 Debby was preceded in death by her sister, Anita Smith. Survivors include her husband of 37 years, John A. Zoffoli of Beverly Hills, FL; sister, Donna Thayer of Eastport, ME; and cousin, Anita Scott of Covington, LA. Memorial contributions may be made to HPH Hospice, 1207 Majestic Blvd., Hudson, FL 34667. (Excerpted from the Fero Funeral Home, Beverly Hills, FL website). 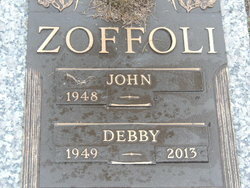 Deborah's headstone in Fero Memorial Gardens Cemetery, Beverly Hills, FL. 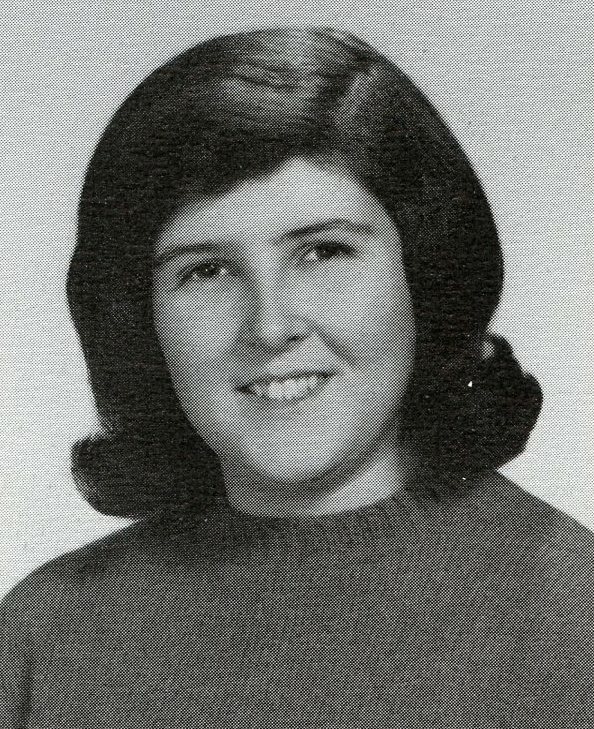 Carolyn in 1967 (senior photo) and later in life. 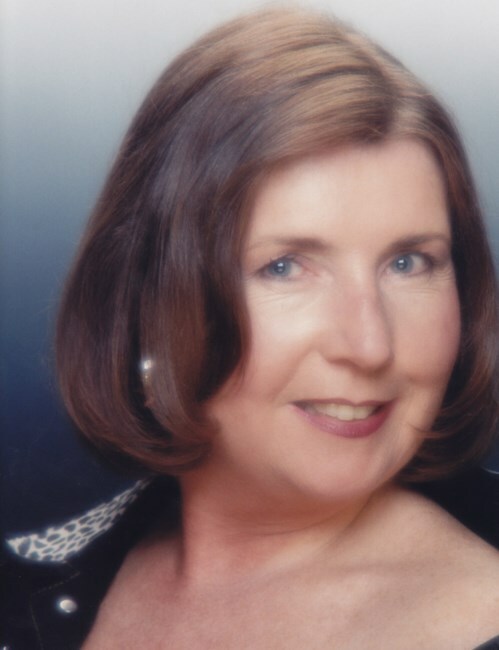 Carolyn R. Swanson, 63, of West Hartford and formerly of East Longmeadow, passed away on Monday, Nov. 26, 2012. Carolyn was born in Springfield on Nov. 26, 1949, a daughter of the late Harvey and Ruth (Johnson) Swanson. She was a graduate of East Longmeadow High School and she also graduated from Hartwick College in New York. Carolyn attended St. Paul Lutheran Church in East Longmeadow. She was employed by two advertising agencies in Hartford, CT, and she subsequently was self-employed. Carloyn is survived be her two devoted brothers, Carl Swanson and his wife, Natalie of Baltimore, MD., and Clark Swanson of Newburyport, MA., and she leaves three cherished nephews, Jon, Adam, and Matthew Swanson. Memorial contributions may be made in Carolyn's memory to the Rays of Hope, 280 Chestnut St., 6th Floor, Springfield MA 01199, or to St. Paul Lutheran Church, East Longmeadow. (Excerpted from the Hartford Courant newspaper, Hartford, CT). Carolyn's headstone in Hillcrest Park Cemetery, Springfield, MA. Christine "Chris" (Lull) Balboni, 61, of Springfield, passed away peacefully at home on Wednesday, Mar. 16, 2011 after a long, yet gracious struggle. She is survived by her devoted and adoring husband, George Balboni; her most loved and cherished daughter, Lisa; and her dearly loved son-in-law, Jay Torres and precious grandson, Anthony. Chris treasured her grandson, Anthony, and spent, along with his dog, Lucy, the most priceless 11 years experiencing all forms of adventures and activities. They were and always be inseparable. Chris was a graduate of East Longmeadow High School and employed in East Longmeadow for many years, providing transportation for school students. 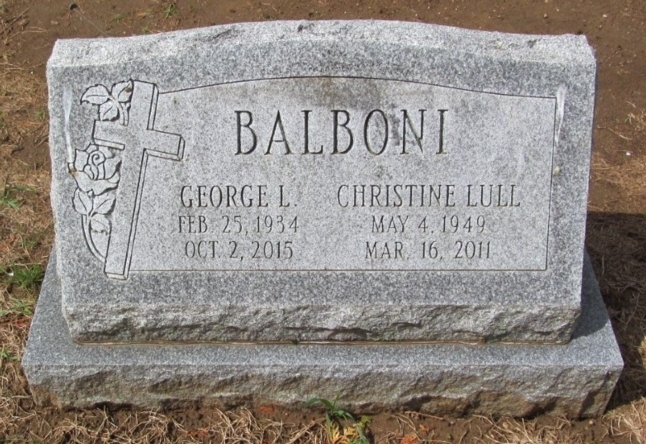 Chris leaves behind many extended family members: the Balboni stepchildren, Liand and Mike Gallant, Tina and Bill Coley, and George Henry Balboni; and the grandchildren Celina, Samantha, Nathan, Jessica, and Melissa. She also leaves her beloved nephews, Andy and Eric Lull, along with their mother, Linda; and the family members of her late husband, Anthony Ampagnatiello. Welcoming her at heaven's gate will be her parents, George and Cele Lull; her brother, Skip Lull; her late husband, Anthony Impagnatiello; and her stepson, Tony Balboni. Chris thankfully was surrounded and supported by very dear and loyal friends. It is hard for those who loved her to believe that we will be deprived of the joy and humor Chris brought to life, and the endless energy she had for it. She will be genuinely missed. In lieu of flowers, donations may be made to a trust fund for Christine's grandson, Anthony Torres, c/o Premier Source Credit Union, 232 N. Main St., East Longmeadow, MA 01028. Christine's headstone in Greenlawn Cemetery, East Longmeadow. Her husband, George's name is also inscribed on the headstone. He passed away in 2015. 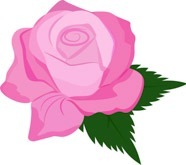 Rose Marie (Resta) Ostrander, 62, passed away peacefully on Tuesday, Jul. 27, 2010 at her home in Wilbraham, with her loving family at her side. Born in Springfield, a daughter of Rose (Luvera) Resta of East Longmeadow and the late Angelo M. Resta, she was a longtime resident of Springfield before moving to Wilbraham. Rose was the beloved wife of 43 years to Raymond E. Ostrander of Wilbraham. She was a banquet hostess for 19 years at Salvatore's Restaurant on Boston Rd. in Springfield. Rose loved her entire family and enjoyed all the family gatherings, but her son and her two grandchildren were the lights of her life. Besides her husband, Raymond, she is survived by her son, Keith M. Ostrander and his wife, Tawnie of Monson; her sister, Joann Mazza and her husband, Charles of Titusville, FL; and by her two grandchildren, Kianna and Quintin Ostrander. In lieu of flowers, donations may be made to Hospice Life Care, 113 Hampden St., Holyoke MA 01040. Rose's remains are interred in St. Michael's Cemetery, Springfield, MA. 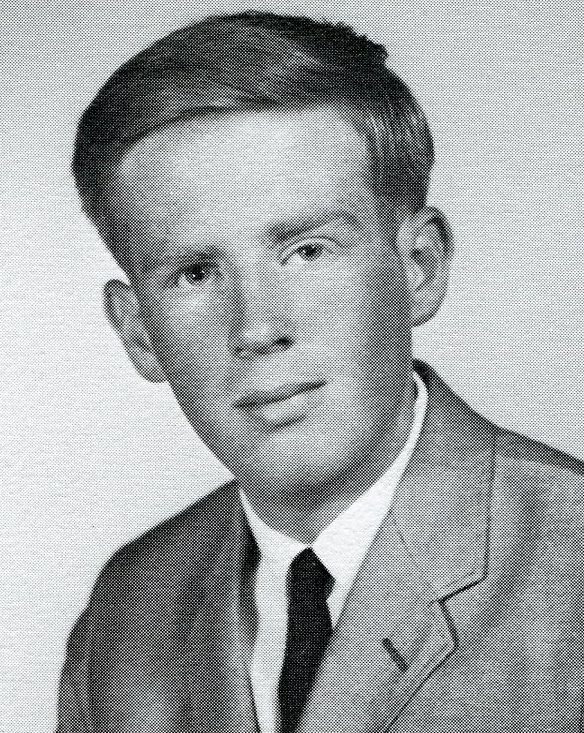 Brian in 1967 (senior photo) and later in life. 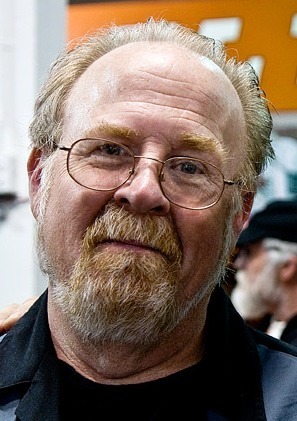 Brian K. Clark, 60, died peacefully at home on Thursday, Oct. 29, 2009. Born in Springfield to the late George and Dorothy (Goldsmith) Clark, he had been a resident of Monson for 40 years. 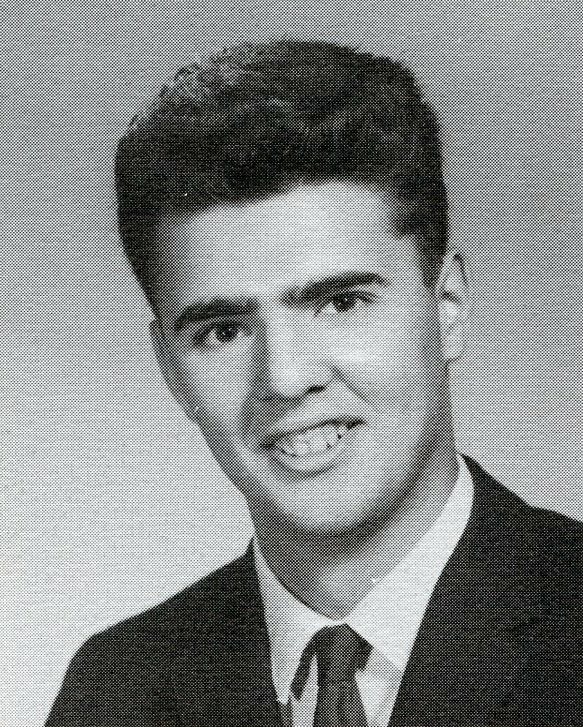 Brian was a graduate of East Longmeadow High School and STCC, where he received an associate's degree in computer science. He was a self-employed building and remodeling contractor for over 30 years. Brian was the District IV manager for the Massachusetts Motorcyle Association, and also a member of the board of directors. He enjoyed fishing and riding motorcyles whenever he had the chance. He was a devoted husband, father, and grandfather, giving of his love and time, especially to his grandchildren. He leaves his wife of 41 years, Susan R. (Bandlow) Clark, and their children, Jeffrey B. Clark, Chad W. Clark and his wife, Lisa, all of New Hampshire; and Maegan M. Arroyo and her husband, Michael of Palmer; brothers John F. Clark and his wife, Barbara of Connecticut, and R. Bruce Clark of Maryland; and five grandchildren, Adam, Kelsey, Xavier, Bayla, and Eldi. In lieu of flowers, memorial donations may be made to the Monson Fire Department Ambulance Fund, PO Box 335, Monson, MA 01057. 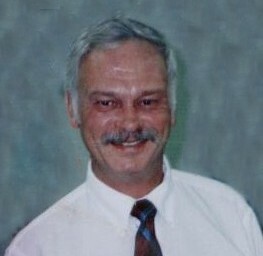 Raymond A. Lindsay, Jr., 58, who resided in Weymouth, MA., passed away on Tuesday, May 13, 2008. He will forever be loved and cherished by his family and friends and deeply missed on the golf course. (Excerpted from the Norwell Mariner newspaper, Norwell, MA). 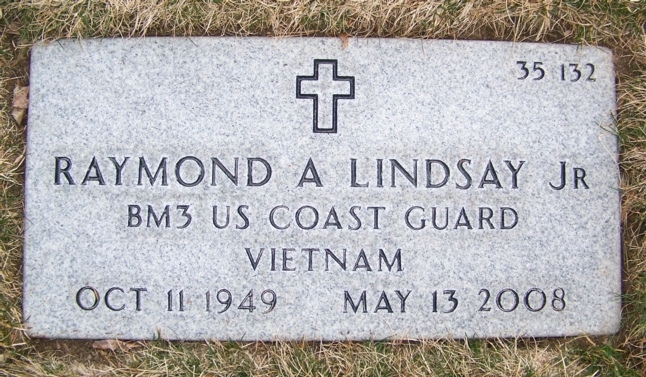 Note: Raymond served in the U.S. Coast Guard during the Vietnam War. Raymond's headstone in the Massachusetts National Cemetery, Bourne, MA. BM3 stands for Boatswains Mate 3rd Class Petty Officer. 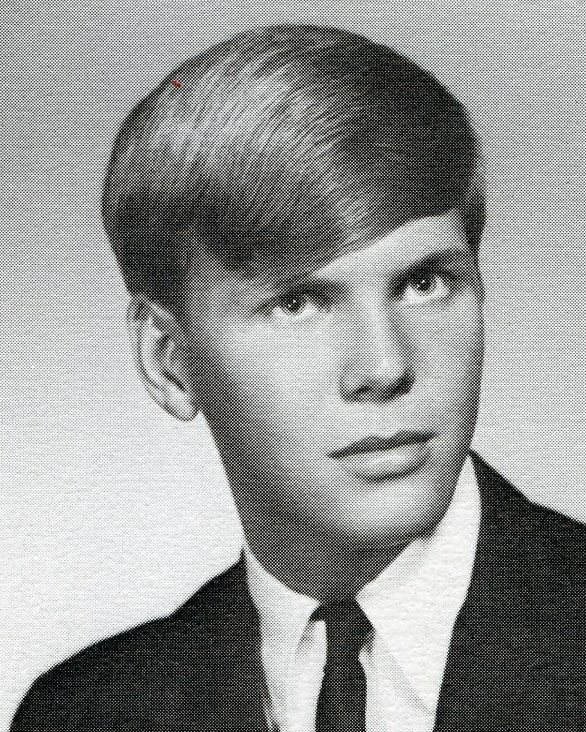 Michael in 1967 (senior photo) and later in life. Michael F. Bradley, 58, of Venice, FL, formerly of West Springfield, passed away Monday, Jan. 28, 2008 after a long illness. He was a graduate of Rhode Island School of Design and was employed as a certified packaging professional at various corrugated packaging companies in both Massachusetts and Florida. Michel was also a first lieutenant in the Air Force during the Vietnam era. Michael will be greatly missed by his wife, Linda; sons Jason of Madison, MS and Kevin of Westfield; grandchildren, Alexandria, Aidan, and Connor of Madison, MS; parents, Gordon and Dorothy Bradley of East Longmeadow; brothers Peter, Robert, and Thomas; sister, Mary Kathryn Petrone; and aunt Pat Wallace of Denver, CO.
Memorial contributions may be made to the Winn-Dixie Hope Lodge, 2121 W. 16th St., Gainesville, FL 32608. (Excerpted from the Larry Taylor Funeral and Cremation Services, Punta Gorda, FL website). 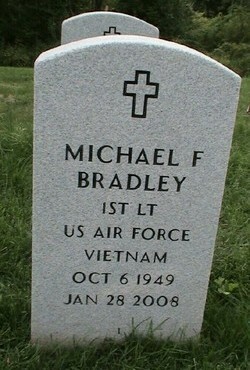 Michael's headstone in the Massachusetts Veterans' Memorial Cemetery, Agawam, MA. 1ST LT stands for First Lieutenant. Richard E. Hawley, 54, of 77 Somers Rd., died on Friday, Apr. 2, 2004 at home. Born in Springfield, he was a lifelong resident of East Longmeadow. He was a 33-year member of the East Longmeadow Fire Department, retiring in 2003 as deputy fire chief. He was also past president of the East Longmeadow Firefighters Association, past commander of the American Legion, a member of the Springfield Lodge of Elks #161, and coached and was active in the Wilbraham Twin Meadows Hockey Association. 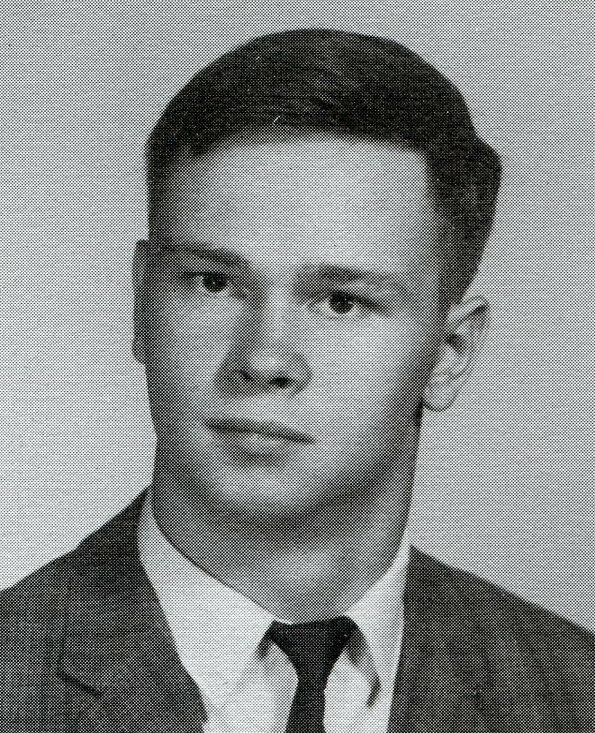 He graduated from East Longmeadow High School in 1967 and was a member of the National Guard. He leaves his wife, Tricia E. (Reed) Hawley; his son, Brett R. Hawley; a daughter, Erin E. Hawley; and his mother, Doris B. Arlotta, all of East Longmeadow. He was predeceased by his brother, Frederic Hawley in 2004. In lieu of flowers, memorial contributions in Richard's name may be made to Dana Farber Cancer Institute, 10 Brookline Place West, Brookline MA 02445 or East Longmeadow Firefighters Assoc., 150 Somers Rd., East Longmeadow MA 01028. Richard's headstone in Greenlawn Cemetery, East Longmeadow, MA. 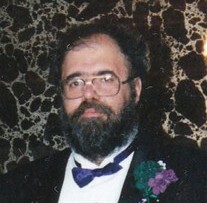 John F. Rosati, 52, of Goddard St., Athol, MA, died Friday, Jan. 3, 2002 at the Providence Care Center of Springfield. He was a pressman at the Highland Press in Athol with thirteen years of service. Born in Springfield, he has been a resident of Athol for thirteen years and was a graduate of East Longmeadow High School. He served in the U.S. Army in the Vietnam War and was a member of the American Legion Post 102 of Athol. He also belonged to the Amateur Radio Relay League and was a volunteer radio operator for several years at the Boston Marathon, and a member of the Tiger Athletic Association of Chicopee. He is survived by his daughter, Jessica Lynn Rosati of Enfield; a son, Jay Rosati Bedard of Springfield; his father, Albert S. Rosati and his wife, Janet of Deer Isle, ME; his brother, David E. Rosati and his wife, Carol of Warren; his sister, Martha Rosati Barnes and her husband, Darren of Hampden; his nephews Joseph and Brian Rosati; and his nieces Michelle Kearney, and Jessica and Jordan Barnes. He was a great-uncle to several nephews and one niece. 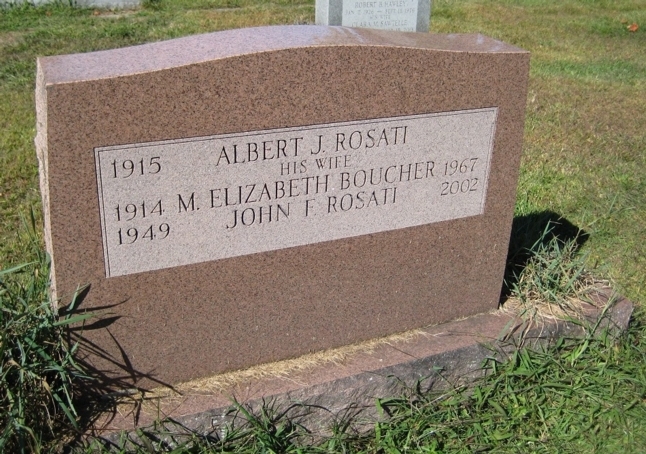 His mother, M. Elizabeth (Boucher) Rosati died in 1967. Memorial contributions may be made in his honor to the American Legion Post 102, Athol, MA 01331, or Providence Care Center of Springfield, 370 Pine St., 01105. John's headstone in St. Michael's Cemetery, Springfield, MA. Karen E. (Basile) Rivera, 51, of 94 Mooreland St., Springfield, died Tuesday, Aug. 14, 2001 at Baystate Medical Center. She was the office manager for Gowen and Trombley Insurance Agency, Inc. of Ludlow and Wilbraham for many years. Born in this city, she lived here most of her life. Her husband, Edwin Rivera, died last year. She also was predeceased by a son, Charles T. Isham, Jr. She leaves three other sons, James S. Isham, Edwin Rivera, Jr., and Carlos T. Rivera, all of Springfield; a daughter, Jenny C. Rivera of Springfield; two brothers, John Basile of Vernon Beach, FL and Ronald Basile of East Longmeadow; a sister, Maryann E. Isham of Springfield; five grandchildren; and her wards, Jeffery and Tanya Samson of Springfield. 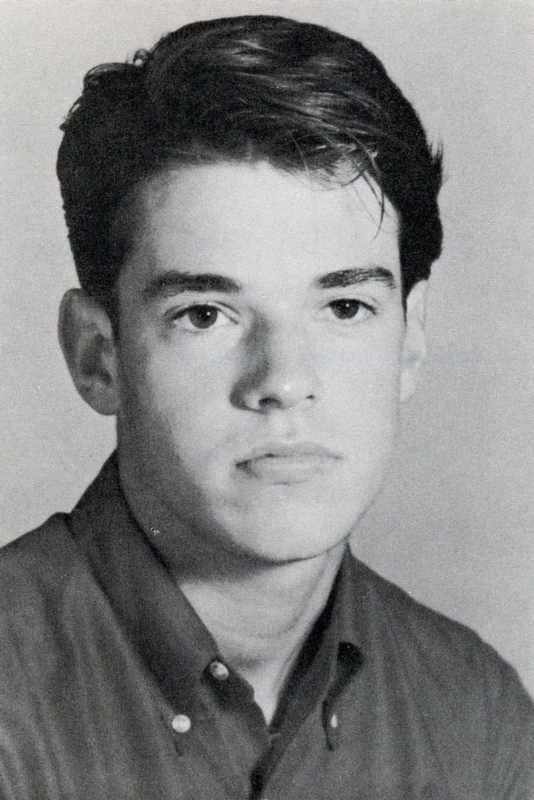 Steven during his sophomore year. 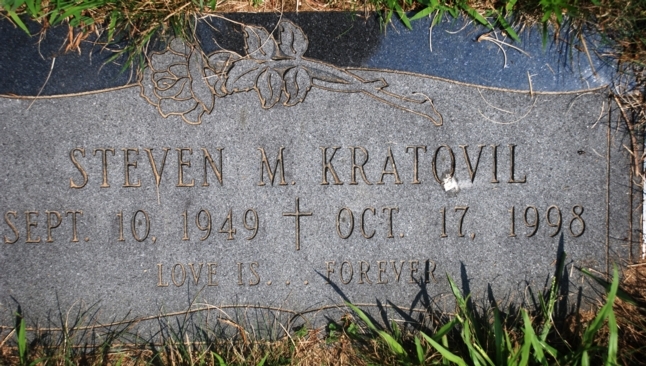 Steven M. Kratovil passed away on Saturday, Oct. 17, 1998. Our only source of information on his passing is the Social Security Death Index. At this time, we have no further details regarding his life. He did not have a senior photo in the yearbook. Steven's headstone in Hillcrest Park Cemetery, Springfield, MA. The inscription at the bottom reads, "Love is forever." 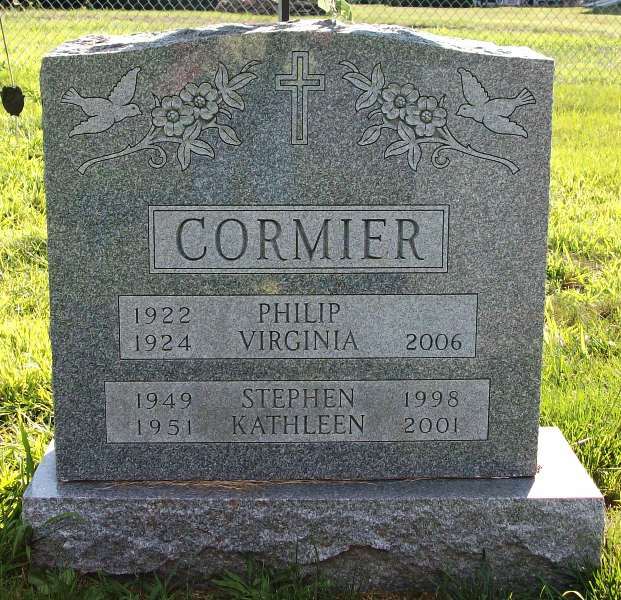 Stephen Cormier, who resided in Holyoke, MA, passed away on Tuesday, Sep. 22, 1998. Our only source of information on his passing is the Social Security Death Index. At this time, we have no further details regarding his life. Stephen's headstone in Greenlawn Cemetery, East Longmeadow, MA. Timothy J. Dreyer, 47, of Hampden, a 20-year Springfield policeman, died Sunday, Jul. 28, 1996 in West Springfield. He retired this year. Ten years ago, he organized and supervised the fundraising and erection of a monument at Springfield Police Headquarters to honor officers killed in the line of duty. He was also a carpenter for 25 years. Born in Springfield, he lived in East Longmeadow. 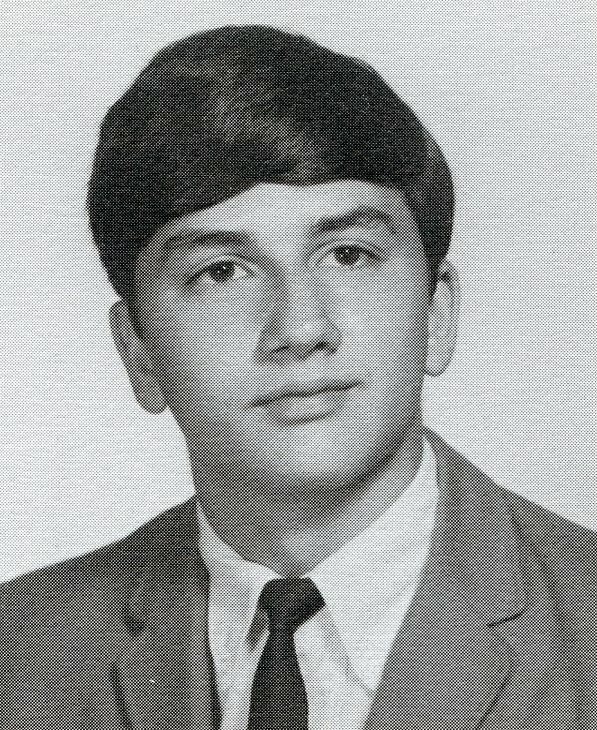 He was a 1967 graduate of East Longmeadow High School, and attended Springfield Technical Community College. He moved to Hampden 17 years ago, and was a communicant of St. Mary's Church. He held a pilot's license, and was a member of the International Brotherhood of Police Officers. He leaves his wife, Rosemary Quatrano; two sons, Erich and Nicholas, at home; his mother, Rita (Neylon) Dreyer of Yarmouth Port; a brother, Dr. Stephen of Fremont, NE; and a sister, Susan Genest of Walpole, MA. Timothy's headstone in St. Michael's Cemetery, Springfield, MA. Rosemary E. Edwards, 38, of 29 Allen St., East Longmeadow, a six-year nursing assistant at the Mary Lyons Nursing Home, Hampden, died Wednesday, Aug. 13, 1986 at home from injuries sustained in a fire. Born in Springfield, she lived in East Longmeadow most of her life. She was a communicant of St. Patrick's Church in Springfield. She leaves her mother, Rita (Dineen) Edwards of Rutland; two brothers, Patrick D. of Longmeadow, and Christopher J. of East Longmeadow; and four nephews. Rosemary's remains are interred in St. Thomas Cemetery, West Springfield, MA. 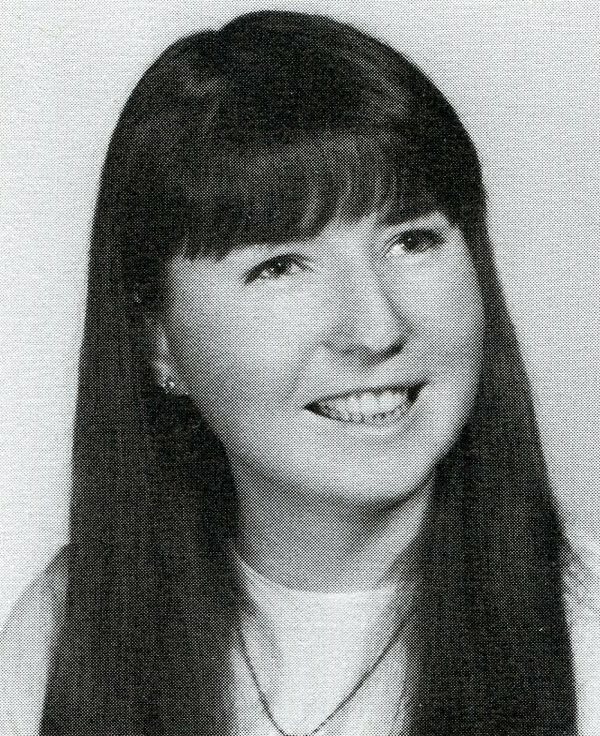 Miss Judith Ryan, 23, of 248 Pearl St., Springfield, MA, died Monday, Dec. 6, 1971, in Peter Bent Brigham Hospital, Boston. Medical examiner Michael A. Luongo said death was due to hepatic failure due to hepatitis. 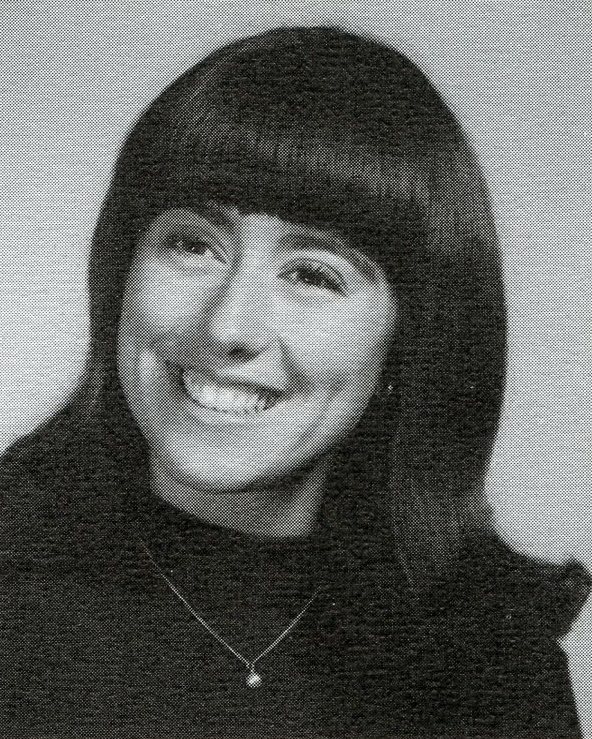 Born in Rockville, Conn., she was recently employed as a sales clerk at the Abovo Clothing Store, Springfield. She leaves her father, Gordon Ryan of West Stafford, Conn.; her mother, Mrs. Janet (Hurlburt) Lemieux of East Longmeadow; four brothers, Theodore of Ellington, Conn., and Kevin, David, and Robert, all of East Longmeadow; and a sister, Miss Patricia Ryan of East Longmeadow. 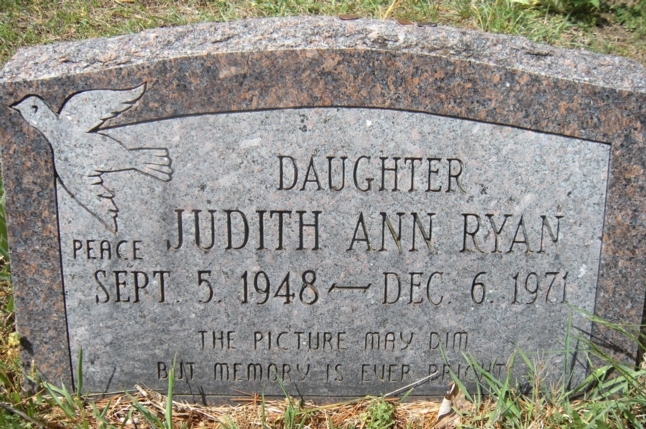 Judith's headstone in West Cemetery, Somers, CT. The inscription at the bottom reads, "The picture may dim but memories ever remain." 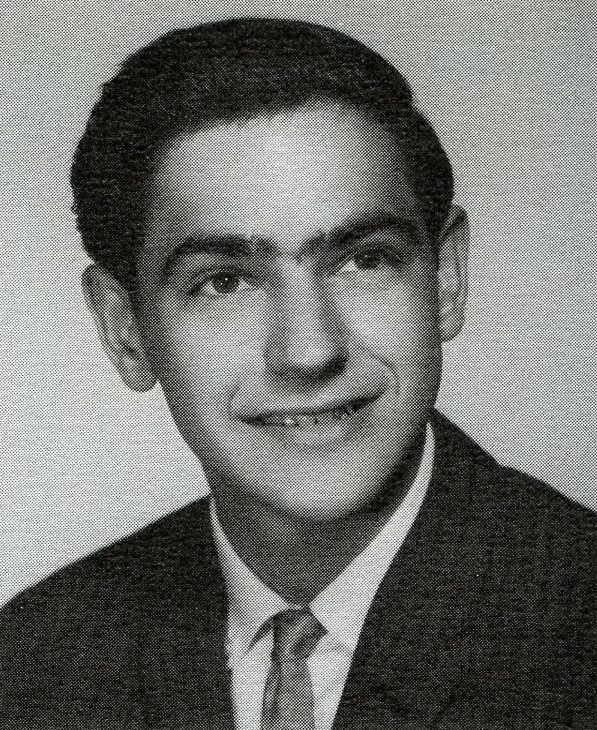 Flags are flying at half-mast in East Longmeadow for John S. Manferdini, 21, who was killed July 3, 1969 in Vietnam while serving as a military policeman with the 82nd Airborne Division. 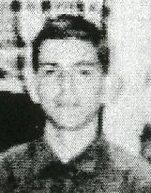 Manferdini, the son of Sebastian and Anna (Rosati) Manferdini of 3 Roderick Ave., entered the Army last August 28, and went to Vietnam February 1. He was graduated from East Longmeadow High School in 1967 and had worked at Coca Cola Bottling Co. in Springfield. Besides his parents, he is survived by a brother, Ernest, at home; a sister, Mrs. Roger W. (Judith) Smith of 219 Shaker Rd. ; and a maternal grandmother, Mrs. Mary Rosati of Roderick Ave.
David McIntire, 19, of 45 Edmund St., East Longmeadow, died at 10:00 a.m. on Thursday, Dec. 19, 1968 in Holyoke Hospital of injuries suffered in a one-car accident on Route 116 in Granby, MA early Saturday morning. David suffered multiple internal injuries in the accident. 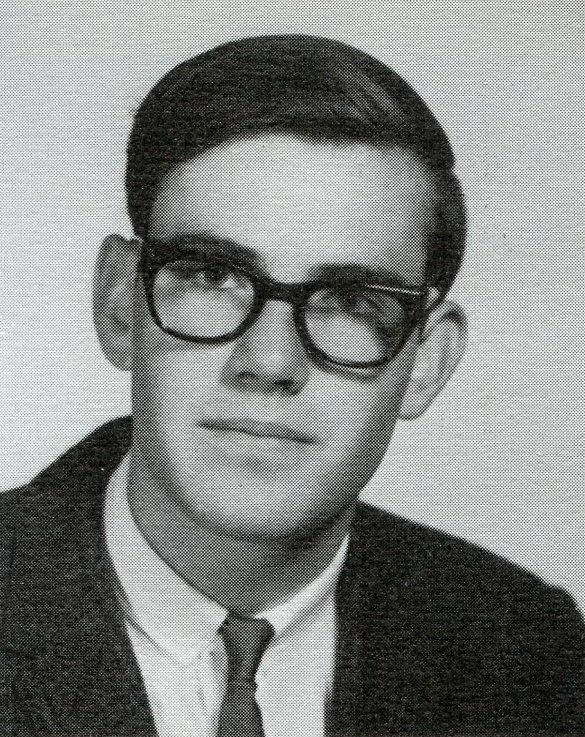 He was a passenger in the car, driven by ELHS 1967 graduate Albert Bailey IV, who perished in the crash. Other passengers in the vehicle who were injured but survived were ELHS 1967 graduate Richard Meacham and ELHS student Clyde Llewellyn. 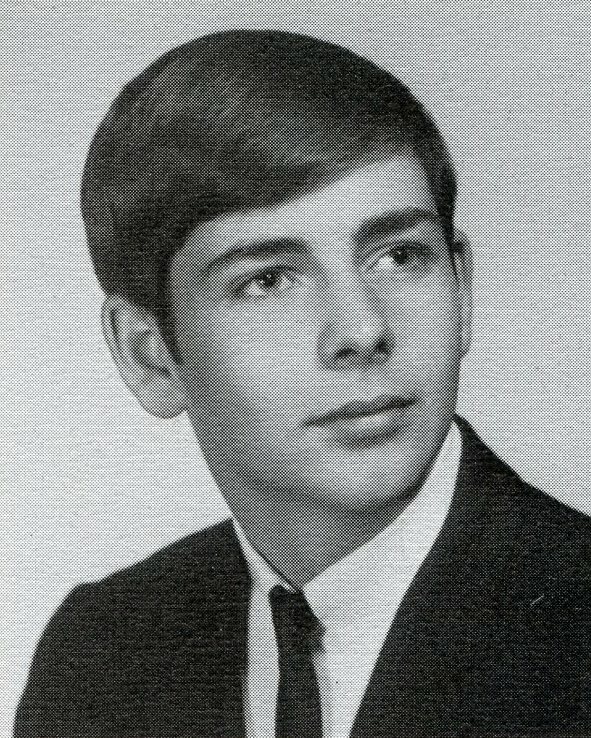 David was born in Springfield on Aug. 14, 1949, the son of Mr. and Mrs. Harry (Mayforth) McIntire and was graduated from East Longmeadow High School in 1967. He attended the Computer Environment Center, West Springfield, and was employed as an expeditor for Ontario Co. on Allen St., Springfield. He was a member of St. Michael's Church, East Longmeadow. David is survived by his parents; two brothers, SSgt George A., stationed with the Air Force in Greenland, and SSgt Carleton, stationed with the Air Force in Vietnam; three sisters, Carolyn P., a student at New York University; Melissa J., and Heather M., both at home. (Excerpted from the Springfield Union newspaper, Springfield, with additional notes added). David's remains are interred in Saint Michael's Cemetery, Springfield, MA. 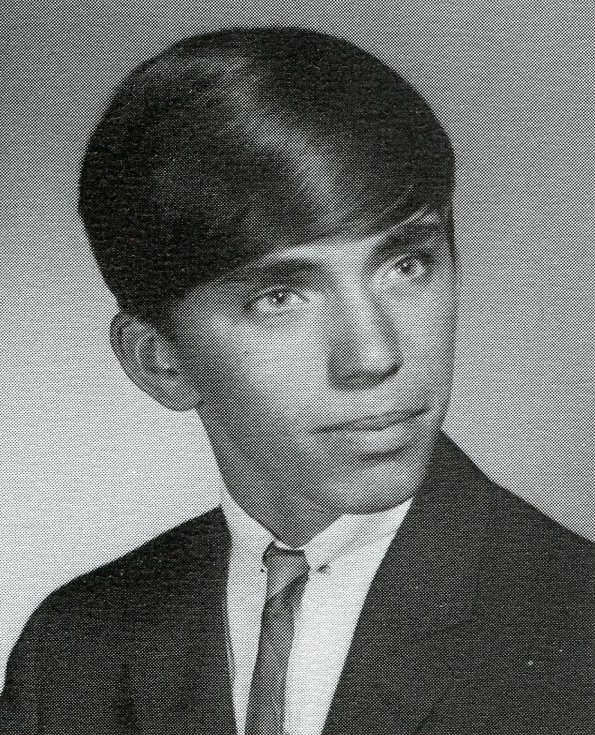 Albert Bailey IV, 20, of 76 Millbrook Rd., East Longmeadow, was killed on Saturday, Dec. 14, 1968 when his car went out of control on a hill in Granby, MA, left the highway, and slammed into a tree. Three passengers were injured, including ELHS 1967 graduate David McIntire, who was critically injured. David passed away five days later. The other two passengers were ELHS 1967 graduate Richard Meacham and ELHS student Clyde Llewellyn. Surviving Albert are his parents, Albert and Viola B. (Albrecht) Bailey. Mr. Bailey is an East Longmeadow policeman. (Excerpted from the Boston Herald, Boston, MA and the Springfield Union newspapers, Springfield, MA, with additional notes added). Albert's headstone in St. Michael's Cemetery, Springfield, MA.